Close to where I currently live is a park, next to which is a public high school. A US Marines headquarters building sits at the edge of the park. Whenever I walk around the park, I look past pointed iron rods to observe the parking lot. 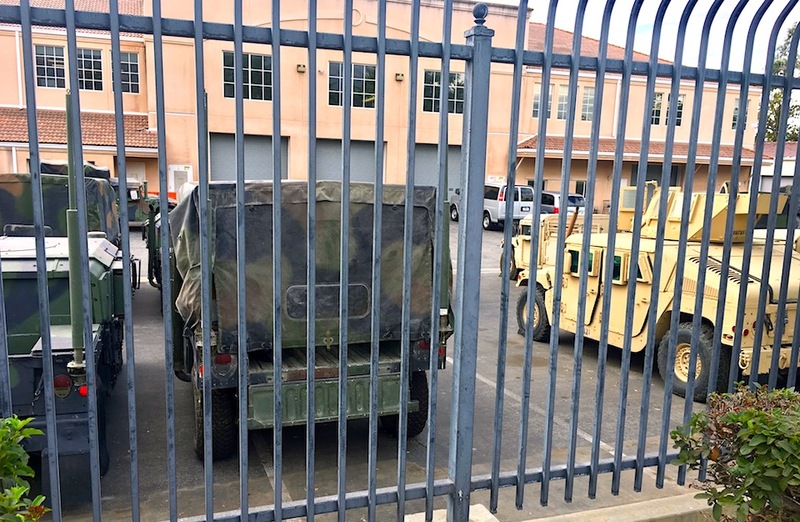 Sometimes, Hummers and tanks are jammed into the space. Other days, the parking lot is clear, leading me to wonder if tanks have rolled down to the San Diego-Tijuana border even as the world watches a nation at a standstill in response to a grown man’s tantrum. 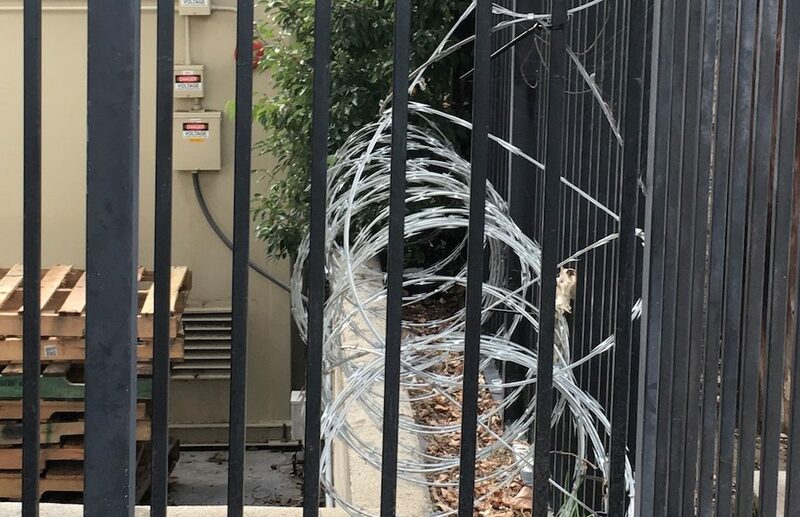 Today, while walking by, I noticed that one side of the iron-wrought fence was wound with barbed wire. Even as I took a couple of photos, I knew that my image was being captured by an on-site camera. Rolled barbed wire reminds me of the India-Bangladesh border. In summer 2013 when I visited Sylhet, I caught a glimpse of the rising 2,500 kilometer wall guarded by Indian border security. Barbed wire is disturbing enough when marking national borders, but spiked curls are even more troubling when they invade residential areas.